Promotion - Carnival - Upgrade Your Fun Sale! Choose fun! Have extra. 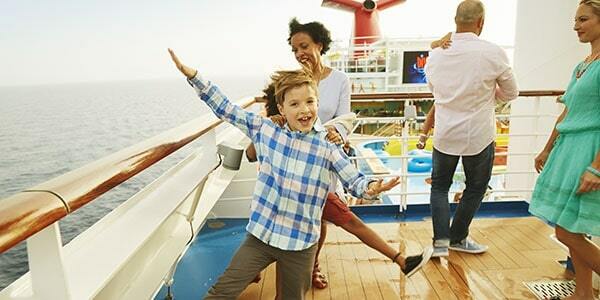 Book a Carnival Cruise today to get up to $150 to spend onboard plus free upgrades! 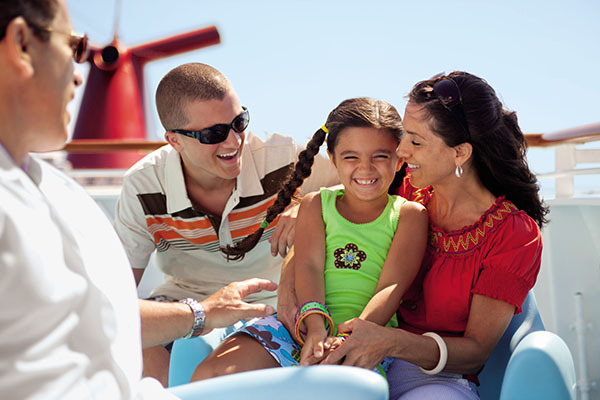 Whenever you want to get away, chances are a Carnival cruise is nearby and ready to take you! Carnival offers a wide array of itineraries featuring amazing destinations around the world, and your sailing will stop in at least a few. 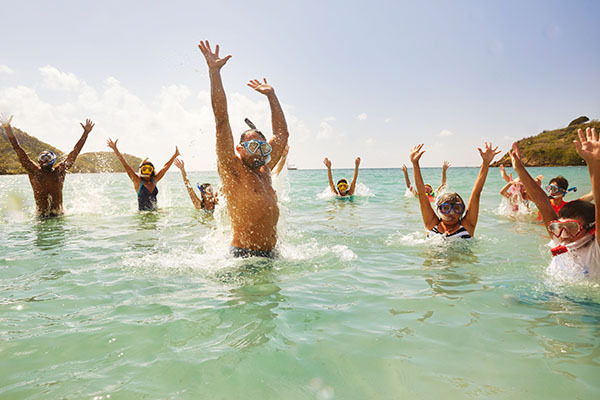 So, whether it’s parasailing off the coast of Mexico or snorkeling through crystal-clear Caribbean waters, you will make memories onboard and ashore! Book by February 28, 2019, and receive a 3 Category upgrade plus up to $100 onboard credit per Ocean-view stateroom and $150 onboard credit per balcony and suite staterooms. * Per person, double occupancy in an Ocean-view stateroom. Price subject to change and availability; please contact us for details. * Per Person, double occupancy in an Ocean-view suite. Price subject to change and availability; please contact us for details. Onboard Credit offer is non-transferable and non-refundable. Onboard Credit is provided as a non-refundable credit to your Sail & Sign account of $50 per person up to a maximum of $100 per oceanview stateroom and up to $75 per person up to a maximum of $150 per balcony and suite staterooms. Onboard Credit may not be applied to cruise fare or Taxes, Fees and Port Expenses. Cruise rates are in US dollars, per person and based on double occupancy. Offer is capacity controlled and is not combinable with any other discount or promotional offer. Rates may vary by ship, stateroom type, and sail date. Changes made to the reservation may result in the assessment of cancellation penalties or service fees. Category restrictions and exclusions apply. Carnival reserves the right to withdraw and/or change offer at any time without prior notice. Offer is for the cruise fare only and does not include Taxes, Fees and Port Expenses. Taxes, Fees and Port Expenses range from $56.90 to $359.73 and are assessed on a per guest basis for all guests according to the itinerary. Guest may select the stateroom, but a minimum purchase of category 6A is required. Upgrades are automatically assigned at the time of booking and are based on availability in like to like categories only (ocean view to ocean view and balcony to balcony). Subsequent upgrades in lieu of price protection will no longer be offered. Offer bookings made as part of a group will include amenities. Offer does not apply to Carnival Australia. Offer is applicable on sailings between now through April 30, 2021. Offer is applicable to new bookings made between January 15, 2019- February 28, 2019. 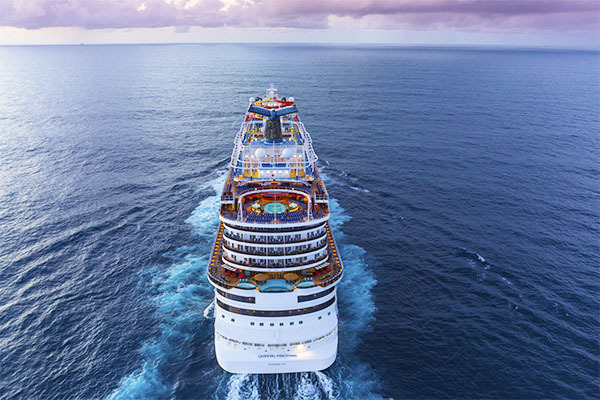 © 2019 Carnival Corporation. Carnival® and the Carnival logos are trademarks of Carnival Corporation. All rights reserved. Used under license. Ships’ Registry: The Bahamas, Panama & Malta.